This freeform cut Australian boulder opal weighs 14 carats. 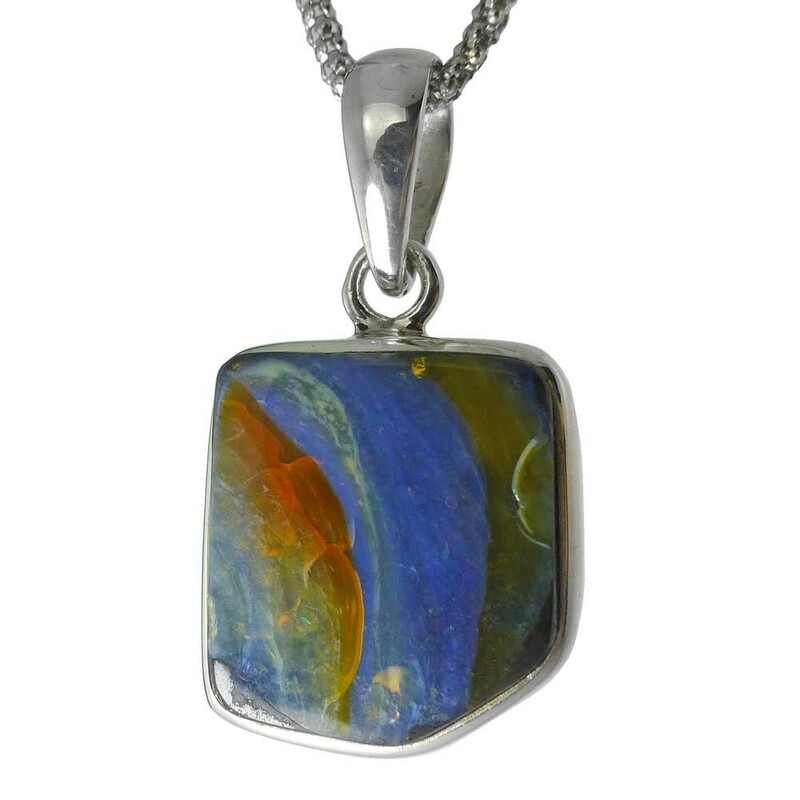 The opal is surrounded in a sterling silver handcrafted frame. Clouds of medium blue opal swirl throughout the brown host rock.. A simple yet dramatic piece of opal from Queensland Australia. Each of our Australian boulder opals is a one-of-a-kind piece that will arrive with a descriptive card about your gem from the Australian outback. You can choose our own style and length of necklace. Learn more about Australian boulder opals. Ferbers.com specializes in authentic, hard-to-find jewelry pieces that tell a story. Our passion is finding the pieces of jewelry that are conversation starters. We've been in business for 34 years. © 2019 Ferbers Fine Jewelry. All Rights Reserved.